1.) 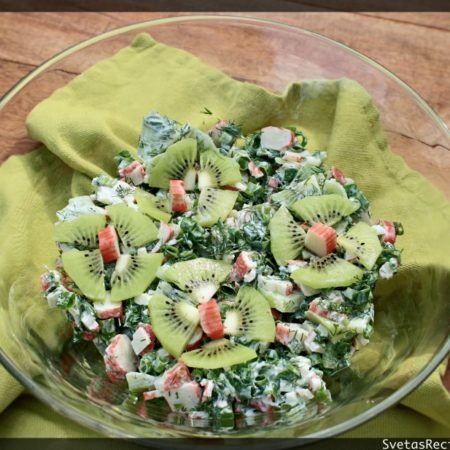 Slice up your kiwi, scallions, crab sticks and dills using a knife. 2.) 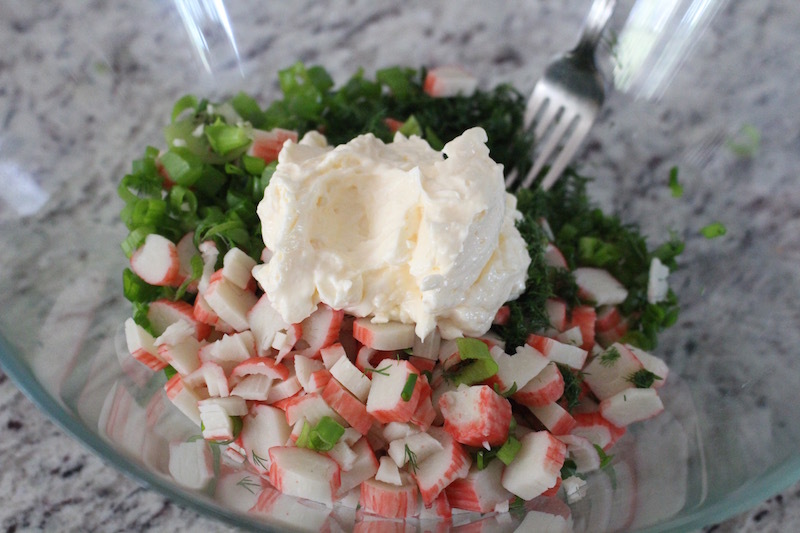 In a large bowl add all of your ingredients and mayonnaise, If you’d like add seasoning and mix well. Place on a serving dish and enjoy! 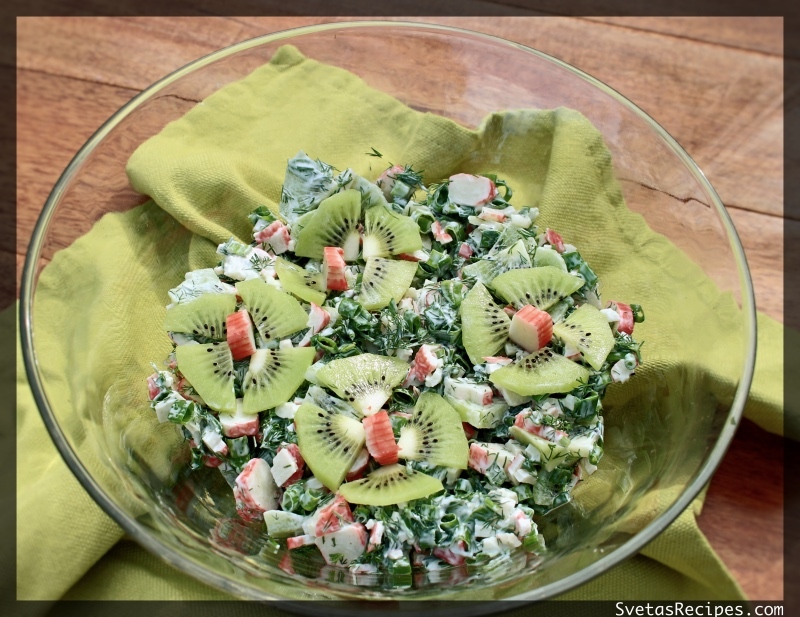 This recipe tastes delicious and goes along great for Mother's Day. Its very quick, easy to make and doesn't take a professional chef! 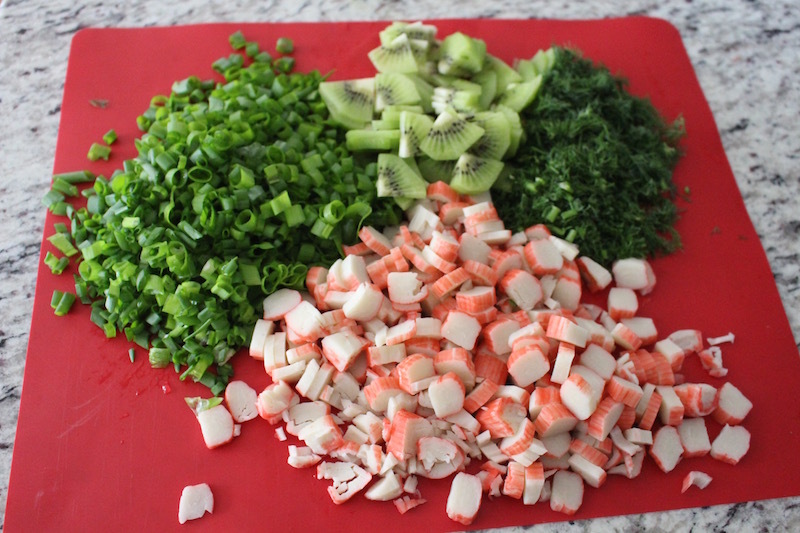 Slice up your kiwi, scallions, crab sticks and dills using a knife. 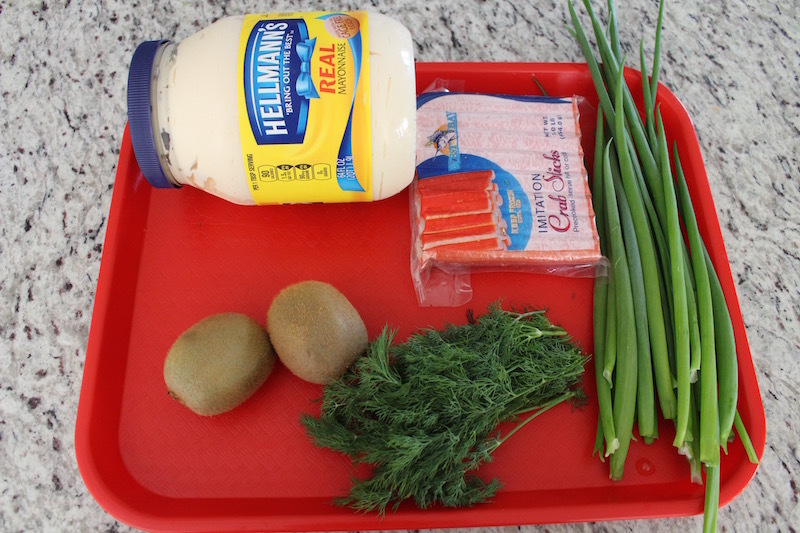 In a large bowl add all of your ingredients and mayonnaise, If you'd like add seasoning and mix well. Place on a serving dish and enjoy!